Few home appliances get as much of a workout as your residential garage door and its opener. For many Americans, a garage door serves as a front door — the main entry for the entire family. Given how much your garage door is used, wouldn’t it be smart to proactively maintain it to enhance its performance and longevity? Visual Inspection: Garage door maintenance doesn’t always mean turning to your toolbox. A monthly visual examination can go a long way toward preventing expensive repairs. Look at your garage door hardware, rollers, springs, cables, pulleys and other parts. 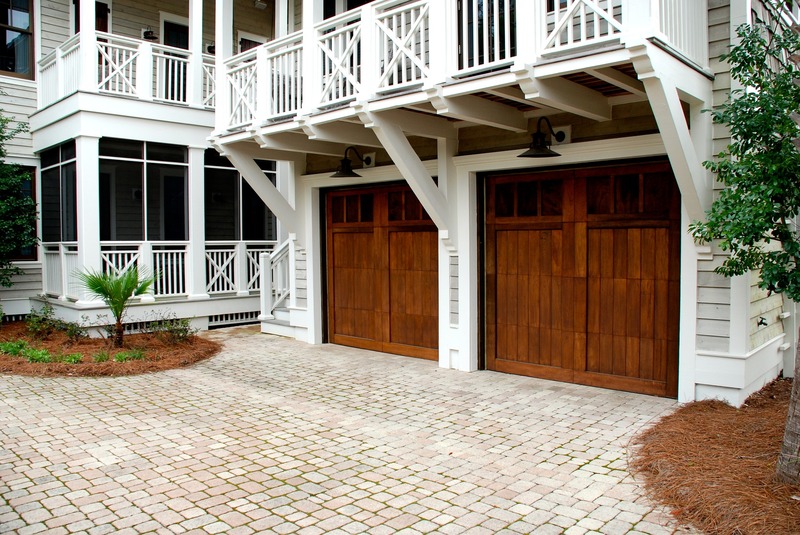 Look for any indication that a portion of your garage door has experienced wear and tear. Listen to your garage door as well. As a general rule, if your garage door’s operation has recently become louder, there is something out of place or a key component needs to be addressed. Track Clearing: Given our dry, gusty climate, dirt and debris can find its way into our garages and onto our garage door tracks. Simply wiping down your tracks and making sure they’re fully clear of debris can help ensure your garage door operates smoothly and at its peak potential. Hardware Tightening: Noise can also be an indication that your hardware has loosened over time. Inspect your rollers’ brackets and bolts to see if vibration during your door’s operation has led to loosening. Weatherstripping: Our dry climate can also mean trouble for a garage door’s weatherstripping. When your garage door’s weatherstripping starts to go, your home becomes less energy efficient, and your garage door is in danger of more dirt and debris affecting key components. Look for cracking at the seal along the base of your garage door. If it seems brittle in any way, consider replacing. Balance Test: Disconnect your garage door’s automatic opener, and lift the door by hand. A garage door operating at its fullest should open easily and smoothly, and it should stay raised on its own. If your door is hard to open, or if you have to hold it up to keep it up, you need a professional to help with rebalancing. Reversing Mechanism: By law, modern garage doors must have an automatic reversing mechanism to keep people and belongings safe. Check your door’s reversing mechanism by placing a roll of paper towels across the threshold. Once the door comes into to contact with the roll, it should immediately reverse without applying further pressure. Photo Eye: Federal law also requires your garage door to have a photo eye system, which prevents entrapment. The two photo eyes are on either side of the door, casting a beam of light at one another. If something breaks the beam, the door automatically reverses. Test this function by hitting the button to close your door, then waving a stick or other object across the eyes to make sure they’re operating properly. Lubrication: Use a lithium grease to lubricate your door’s moving parts at least once a year. It’s important to strike the right balance. You want enough to properly lubricate the moving parts, but you don’t want to apply so much that dirt and debris lodge onto the lubrication permanently. A word of caution: Given that your garage door is under so much weight and tension, tread carefully when taking on advanced maintenance or repair tasks. The tips listed above should be safe for the average homeowner, but you can always call on Stapley Action Garage Door when in doubt. Stapley is proud to offer services for garage door repair and garage door panel replacement. Contact Stapley Action today or call us at 480-655-1255 for professional garage door maintenance including garage door repair, garage opener repair and garage installation services.